Fall fashion is one of my ultimate favorites! It is so fun to layer and accessorize and gives you such a great excuse to combine bold patterns into your everyday wardrobe. Today it's all about the leopard print! Whether it is the main focal point of your outfit or just a little touch of it to add some spice, it is always a fantastic pattern to play around with. This season leopard print is all over the place and I don't see it going anywhere for a very long time. Here are a list of (budget friendly) leopard printed pieces that you can add to your closet, similar to those above! Are you into leopard print? What item are you planning on adding to your closet? P.S. For the next 4-5 weeks I have decided to do a "budget friendly style" post with a new pattern or color combo featured each week. There you go! I bet a cute little leopard cardigan would look adorable on her! Oh my goodness....I love all the leopard! Me too! I just purchased the scarf I listed in the post too because I wore my other leopard scarf to shreds! So here's the deal - I love leopard. I love it on OTHER people. I can match an outfit exactly, and it just doesn't look GOOD on me. SIGHS - perhaps some cute leopard flats. Right? How could I go wrong? yes! Leopard flats or a leopard scarf are always a good way to ease into the pattern and incorporate it into your wordrobe. You could totally pull off that top left look with the leopord flats though for sure! 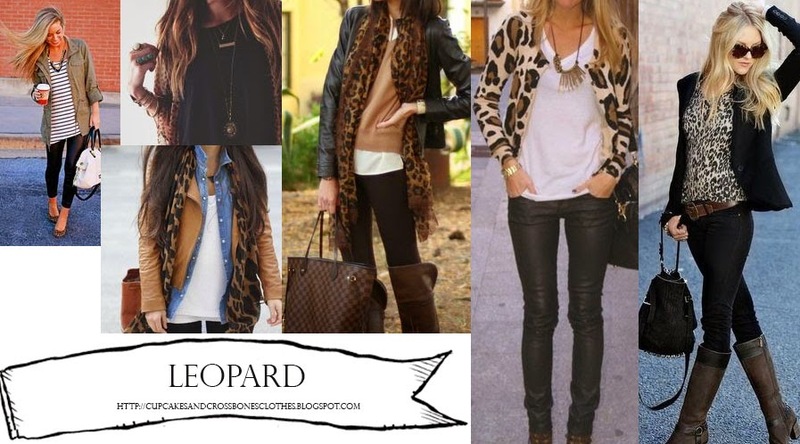 I have a leopard scarf that I adore and wear it almost exclusively in the Fall!! I really want to add a leopard belt to my collection!! great inspiration! Me too, I am obsessed with my leopard scarf! oohh a belt would be perfect! I'm really affraid of animal print! why?! You could totally pull it off girl!